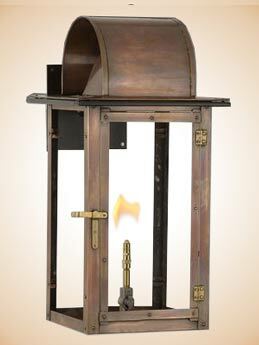 This unique lantern features simple clean lines and a round copper top. It is designed to be mounted directly to a wall. 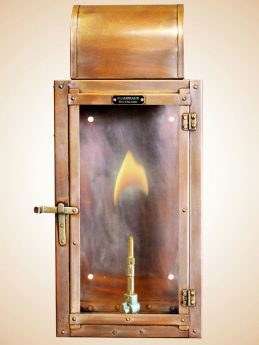 The unique Lafitte design features simple clean lines and a rounded copper top.